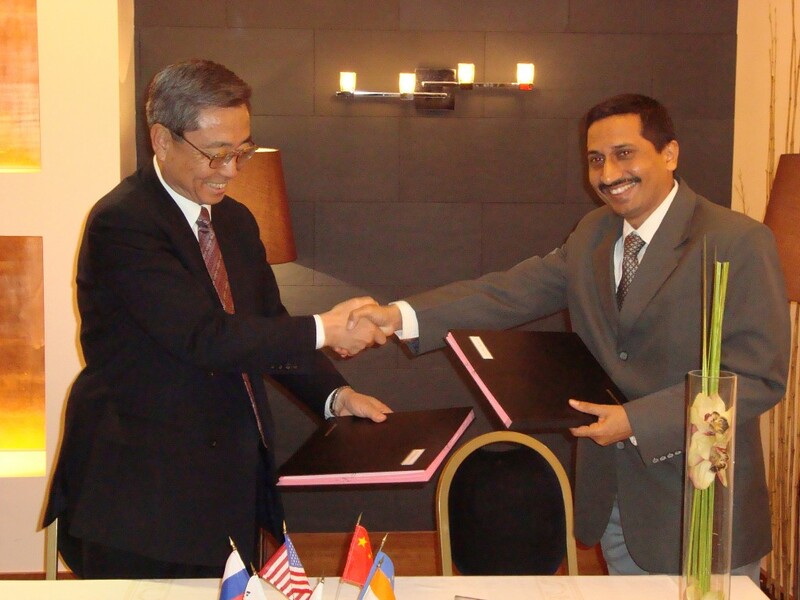 ITER Director-General Kaname Ikeda and Indian Domestic Agency Head Shishir Deshpande signing the document that will launch the construction of ITER's diagnostic neutral beam power supplies. The ITER Organization and the Indian Domestic Agency have signed a Procurement Arrangement for ITER's diagnostic neutral beam power supplies. The contract was signed in Paris on Sunday 19 April, by ITER Director-General Kaname Ikeda and the head of ITER India, Shishir Deshpande. India will procure both the diagnostic neutral beam injector and the diagnostic neutral beam power supplies. ITER India will draw on its experience in building neutral beam systems for the Indian Steady State Superconducting Tokamak (SST-1). The contract for the ITER diagnostic neutral beam power supplies is the first procurement both for the Indian Domestic Agency and the ITER CODAC, Heating, Current Drive & Diagnostics Department. The diagnostic neutral beam injector is designed to inject up to 2 MW of 100 keV hydrogen atoms into the ITER vacuum vessel. These atoms will collide with the ions and electrons that make up the fusion plasma, and light will be emitted as a result. Analyzing the emitted light will provide crucial information on many important parameters of the plasma, such as the density of the helium ash that is produced by the fusion reaction, the temperature of the plasma ions, the speed at which the plasma is rotating, and the local current density in the plasma. Clear diagnostic information is needed by scientists in order to understand the processes occurring inside ITER and in order to optimize the performance of the machine. The diagnostic neutral beam will be made from neutralized negative hydrogen ions (H-) that have been accelerated electrically. In order to achieve the power required to obtain a signal that is strong enough to be detected by the ITER diagnostic systems, it will be necessary to accelerate 60 Ampere of negative hydrogen ions (H-) up to 100 keV. Rapid voltage and current fluctuations are common problems in the electrical circuits of this type of accelerator. Dealing with these fluctuations—also called flashovers, or breakdowns—will require very careful design of the power system and a sophisticated control system so as to avoid damage to the accelerator.